Did you ever wonder whether it was cheaper to heat your hot water tank with your immersion heater or your oil/gas boiler? Well we have done the sums so you don’t have to. 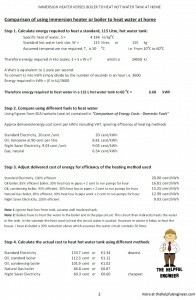 Below is a comparison between various different ways of heating your hot water tank. Background: Boilers heat water and pump it through the heating pipe network of the house. Part of this pipe circuit runs through the hot water tank and indirectly heats the water in the tank; there is no mixing of water between circuit and tank. By contrast an immersion heater uses electricity to heat the water in the tank only. Results of calculations: Based on the calculations below, standard rate electricity is the least efficient way to heat water in your home. The cheapest way is to use night saver electricity; however this will require the installation of an additional electricity meter before the night saver rate can be availed of, i.e. extra cost. Therefore for most people, using their oil/ gas boilers is the best option, especially in winter when the heat lost from the hot water pipe work between the boiler and water tank will help to heat the house. However this will only be true if people ensure that their boiler is serviced every year to ensure high efficiency levels. Of course if anyone has access to free timber (from cuttings or scrap), then a wood burning stove with a back boiler, would provide free hot water. Summer valves: A summer valve isolates the boiler from the radiator circuit and therefore less water in the pipes is heated if the boiler is turned on to heat the hot water tank. Basically then a summer valve increases the efficiency of using the boiler to heat water in the hot tank. My own experience: My house doesn’t have a summer valve, so our boiler heats our water in the winter months along with the house. We also have a wood burner stove. In the summer months we usually just use the immersion to heat the water as we use little enough hot water; we have an electric shower for washing and I am happy enough to shave with cold water! The immersion is usually only used for baths and if we are washing up after a party or something, otherwise the dishwasher can handle the load. I might use the boiler more in the summer after doing these calculations though. Note: By their nature, the calculations below are approximate averages as they are based on various assumptions and complexities. Every situation is different and the purpose of this exercise is to just give an indication of what system is most efficient. 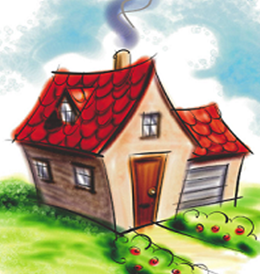 For a specific house, the calculations would need to be redone with the house system particulars. 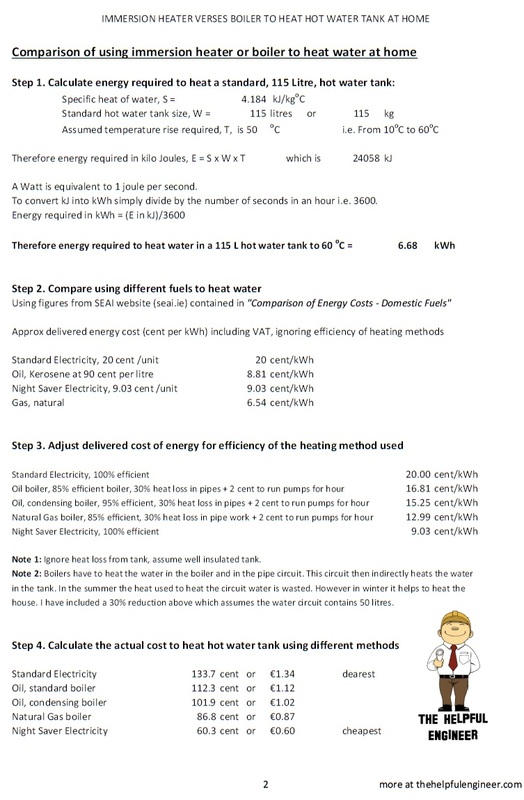 Click the following link to view a PDF of the calculations, Boiler or immersion heater to heat hot water, or below for an image of lesser quality. Hi Arthur, First Well Done on a great website. I enjoy reading the articles and have passed on your site details to quite a few. I live in the West and last summer installed an Energie Thermodynamic system to heat the DHW in our house. Prior to this we used an oil AGA which was proving very expensive. After 9 months we are delighted as the usage of electricity per day has been between 3 and 4 units. Less than 3 in the Summer/ around 4 at the moment. I would be happy to send you an Excel file of the data should you wish. Considering that the cylinder size is 250 litres, I think its a very viable option for many people. Again well done on your site. Thanks for your kind words. Your heating system sounds interesting, by all means send the data over. Hello;we are looking for a mini boiler just to heat the water in summer/spring/in the mornings only;we don’t want to turn on the immersion during the day time;(all the time )we also have a firebird for 14yrs.and it’s not connected to hot water taps ,(only radiators get hot when on)We also have a boiler at rear of fireplace this only heats the radiators a wee bit;Not the water)Please help me !!! Water Authorities are always complaining about water shortages, so why are we using more water today when we have all these supposedly water saving devices? Answer, the Combi Gas Boiler. It does not do what is advertised, maybe when it is brand new or serviced annually, which most people don’t. Lime scale build up after a year or two and you find yourself filling up half the bath with cold water before the boiler kicks in. About 50-60 litres of potable water gone down the drain. Anyone thinking of getting rid of their hot water cylinder? DON’T. it’s much more efficient to keep a hot water cylinder hot by thermostatically controlled boiler than to run cold water through a Combi. This is assuming your hot water cylinder is well insulated. I had gone through 7 steps to make any home peaceful for living and the very first one was “Heating System”. I think we all should care for it and according to Hon’s comment it must be cared by house owner. The immersion switch is working but the water does not heat up, left the immersion on overnight and the hot water is cold, it should be really hot, what is the problem with the heater? I don’t like to say this. But I would think the cheapest way, is by using these waste oil heaters this has to be the cheapest by far. The Hot Pot 9 drip fed waste oil heater unit, heats 40 litres per hour to 50 degrees. That’s hot enough to heat you hotwater cylinder up in 4.5 hours totally free. Of course these are made to operate 24/7. Great for underfloor heating systems, or heating hotwater radiators. check out http://dripfedwasteoilheating.webs.com these are clean burning to. Hi Arthur, great post! I think a lot of people fear the notion of heating oil, the idea of buying oil tanks etc seems like a lot of effort and money but in the long run it can work well and in many cases the right system can heat your home faster and more efficiently than a standard electric system- buying groups can help ease the burden of buying oil supplies. You’re right however, it does require a lot more info into the specific house etc to determine the right decision. The pipes are the channels through which the liquid or gas travels. Now, if the problem is more than just a clogged up toilet, it may be a good idea to call a specialist. for a monetarily, challenging, and rewarding job. 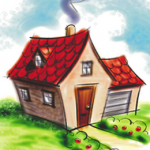 Hi, the most efficient way to heat a home is with a heat pump using underfloor heating and a good control system. The problem here is that there are so many systems on the market claiming to offer good efficiency but the numbers do not stack up when you look at them closely. Dimple is one such example, the actual efficiency in cold weather is not much better than an emersion heater. However there are excellent systems such as ochsner from eurotech in castleblayney that offer lifetime reliability and comfort at unbelievably low running cost. A typical home using this system will have constant comfort of around 21 degrees and hot water on demand for around 250 euro per year. The only snag is the installation cost which is between 10k and 30k but if you have the money this is definitely the best answer and you will save money on oil and enjoy much higher comfort levels for the rest of your lifetime. Hope this helps, great website.